Last time I showed You how to control 1 digit 7 segment LED display with Arduino. This time it’s not 1, but 4 digits. To connect 1 digit to Arduino we had to use 8 ports, so to connect 4 digits we need to have 4×8=32? Not necessary. Where is a way to use much less ports, it’s called multiplexing. Using multiplexing at one time only one digit is active(e.g. for 2ms). All digits is turned on is serial, but because human’s eye is inert we have illusion, that all digits are lighting at same time. 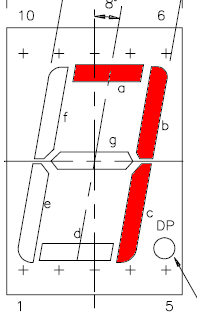 As You can see form schematic bellow with multiplexing implemented we required only 4 additional ports compared to 1 digit circuit, total – 12. Because at the same time only one digit will be on All 4 digits segments inputs are connected together. By connecting digits common cathodes to ground we are controlling which digit shall be turned on. Atmega 1280 µCPU port can drain(receive) maximum 40 mA current. 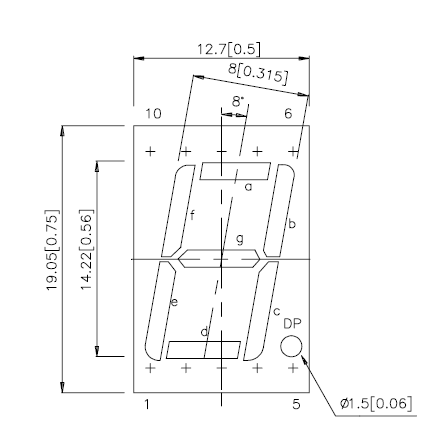 If all one digits segments are on, we are having 20×8= 160 mA that is to much, so we can’t to connect common cathodes directly to Arduino ports. Therefore I have used BC547 NPN transistors as switches. Transistor is opened, when positive voltage is applied at the base. This entry was posted in Arduino and tagged 7 segments, Arduino, counter, display, LED, multiplexing on July 29, 2010 by Darius. Controlling 7 segment LED display from Arduino. Full code included. So this is first real electronics mini project/tutorial in this blog. Everybody at the beginning usually shows how to turn on one LED, I do it a little more complex by controlling 7 segment LED display. The first step is to connect 7 segment display LED’s anodes to Arduino ports. You need 7 free ports, or 8 if You want use “dot”. Display datasheet comes very handy, when You need to found out which pin is which. Do not forget to connect LED’s pins with resistors in serial. Typical red LED forward voltage is 2.0V @20mA current, but Arduino ports outputs 5V, so You must use resistor, in this situation (5-2)/0.02= 150 Ohm or higher should be ok.
Common cathode (3 and/or 8 pin) should be connected to GND and if You have display with common anode You should connect it to +5V. So if everything is connected we should start to analyze program code. 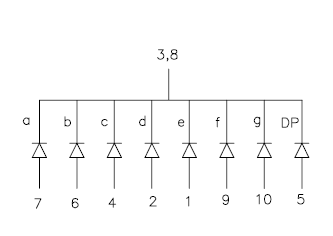 To display digit on display we need to turn on some segments accordingly to digit. For example for “7” we need to turn on A B C segments and other segments should be turned off. I also have made a function to display digit form variable, it is very useful in main loop. And the main program. Using for loop as counter from 0 to 9. You see how showdigit function is good here, it shows variable “i” content on display. If condition is here to check if variable “i” is even and if so shows dot on the display. This entry was posted in Arduino and tagged 7 segments, Arduino, LED on July 24, 2010 by Darius. This is the very first and I hope not the last post of this blog. 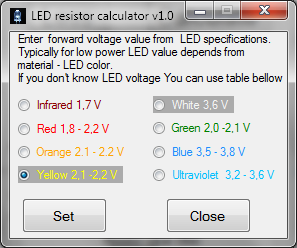 With this event I want to share with you LED calculator. It is also my first project with Visual C++ Expression 2008, this software development environment is free for students. 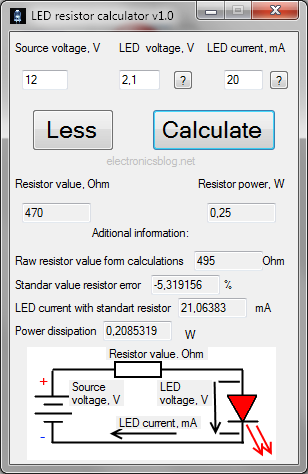 This entry was posted in Software and tagged calculator, download, free, freeware, LED, resistor, visual c++, windows on July 12, 2010 by Darius.